This year's conference welcomed close to 650 delegates from around the globe, including clinicians, scientists, and policy makers. Two seminal events in one, the congress was an unprecedented gathering to review the latest research in metabolic surgery and to establish new guidelines for the development of a modern, multi-modality approach to type 2 diabetes care.
" The advanced scientific program set the stage for delegates to evaluate new guidelines for the surgical treatment of diabetes.	" Geneva, Switzerland, October 13, 2015 – Kenes Group, a leading Professional Conference Organiser (PCO) and Association Management Company (AMC), is pleased to announce the recent success of two important industry events: 3rd World Congress on Interventional Therapies for Type 2 Diabetes, WCITT2D 2015, in conjunction with the 2nd Diabetes Surgery Summit (DSS-II), held in London, 28-30 September 2015, in partnership with prominent global diabetes organizations. This year’s conference welcomed close to 650 delegates from around the globe, including clinicians, scientists, and policy makers. 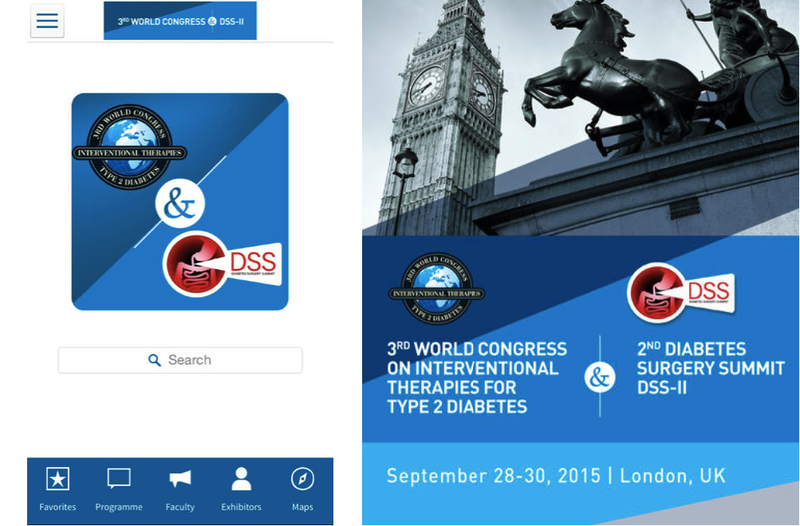 Two seminal events in one, the congress was an unprecedented gathering to review the latest research in metabolic surgery and to establish new guidelines for the development of a modern, multi-modality approach to type 2 diabetes care. WCITT2D was established to address the challenges and seize the opportunities that surgery offers to diabetes care and research. This is a truly international forum where clinicians, scientists, and policy makers discuss available evidence on the use and study of bariatric/metabolic surgery and new device-based intervention. The overarching aim is to craft an agenda of research priorities and health policy initiatives. The consensus segment (DSS-II) was attended by global policy-makers and organised in partnership with the American Diabetes Association (ADA), the European Society for the Study of Diabetes (EASD), the International Diabetes Federation (IDF), Diabetes UK, Chinese Diabetes Society and Diabetes India. The event examined the role of bariatric/metabolic surgery in improving the management and understanding of type 2 diabetes. A detailed review of the science behind this approach included the results of long-term randomised clinical trials, late-breaking studies presented for the first time and the newest findings on the mechanisms of action in metabolic surgery. Clinical Sessions featured a comprehensive review and discussion of the latest studies on the effects of surgery on glycemic control and cardiovascular risk in patients with T2DM, including those with lower BMI and in adolescents. World-leading scientists also reviewed evidence on the functioning of the gastrointestinal tract and its role in the physiology and pathophysiology of glucose homoeostasis.